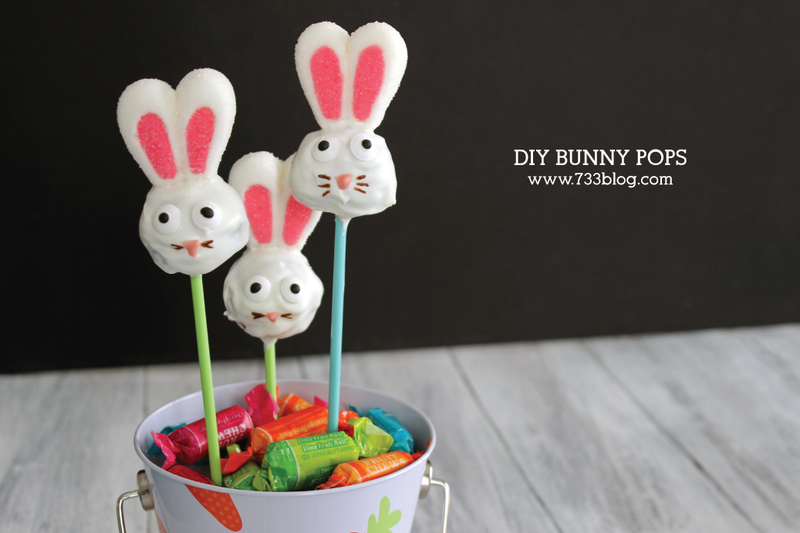 I had so much fun making these DIY Bunny Donut Hole Pops! Aren’t they just the cutest? And I promise, they are easy to make and delicious to eat. 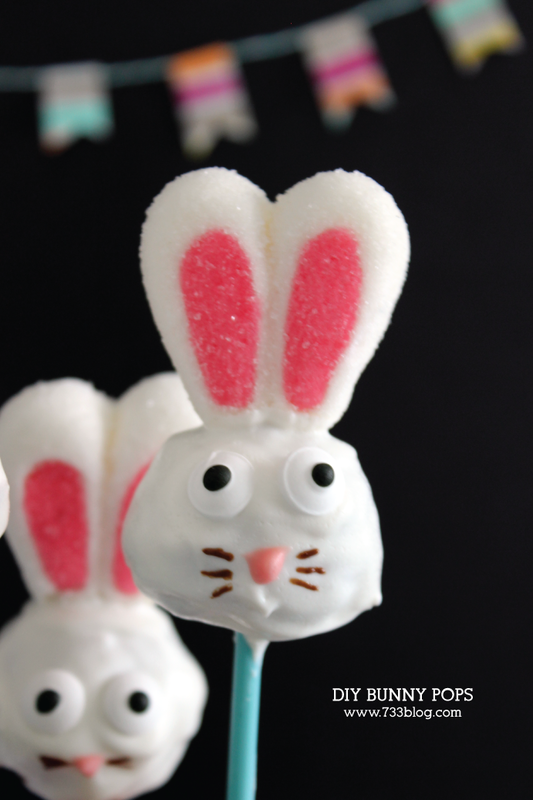 Follow along as I share with you my easy shortcuts and tips for making these adorable and festive Easter Desserts – these are actually doable, no lie! Melt the white chocolate melts in the microwave – put in for 1 minute, remove and stir. If not completely melted, put back in for 30 second bursts until fully melted. Dip a lollipop stick into the melted chocolate and then insert into a donut hole. Once all donut holes are on sticks, place in the fridge for 1-2 minutes to allow chocolate to harden. Remove the pops from the fridge and roll the donut holes in the white chocolate, completely covering them. Place back in fridge for another 2-3 minutes. I actually did the next two steps with them right in the fridge. 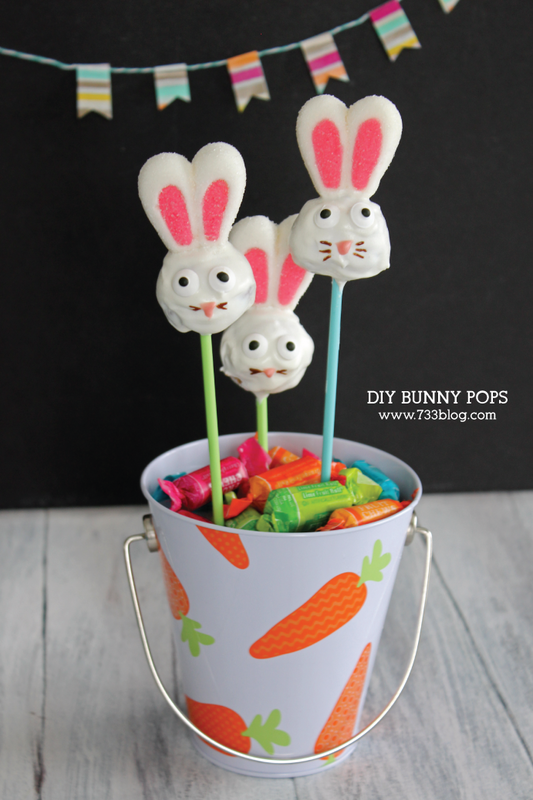 Place the candy eyes onto the donut pop – the chocolate should still be soft enough to hold these in place, but you can dip them into the chocolate first if need be. 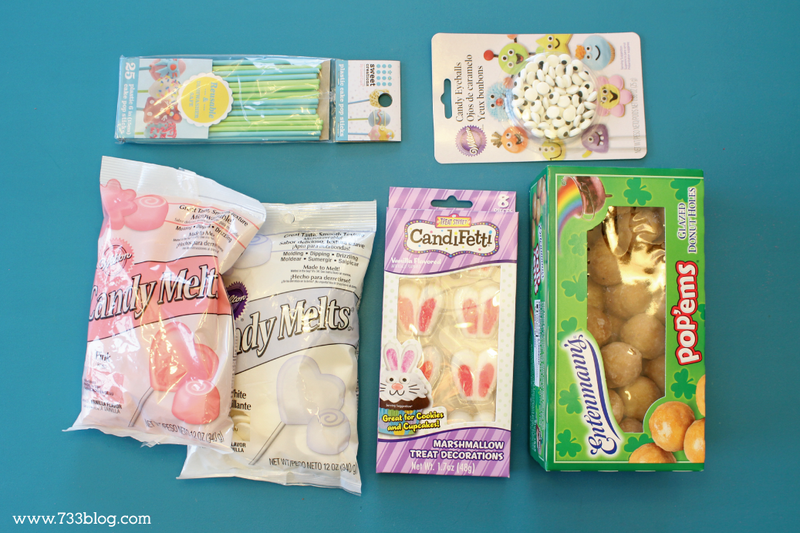 Dip the bottom of the marshmallow bunny ears into the chocolate and carefully place on top of the donut hole. Hold in place for 5-10 seconds and then carefully release – make sure they don’t move or slide – if they stay in place, you should be good to go. I found the Marshmallow Bunny Ears at Walmart, but you could easily make them by cutting up marshmallows and adding pink sprinkles. Once the ears are on, leave in the fridge for a few more minutes to ensure they are firmly in place. While the ears are firming up, melt some milk and pink chocolates in the microwave. 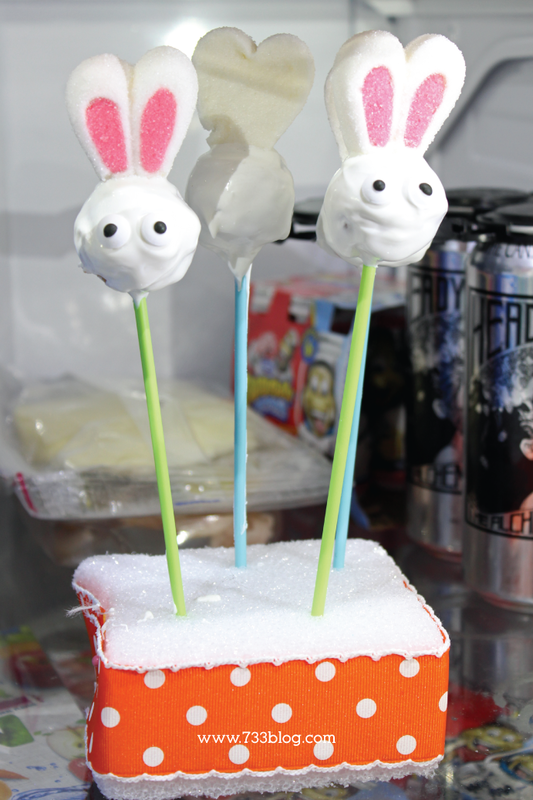 Remove the pops from the fridge and using a toothpick, draw on a pink nose and brown whiskers. Place back in the fridge until ready to serve.